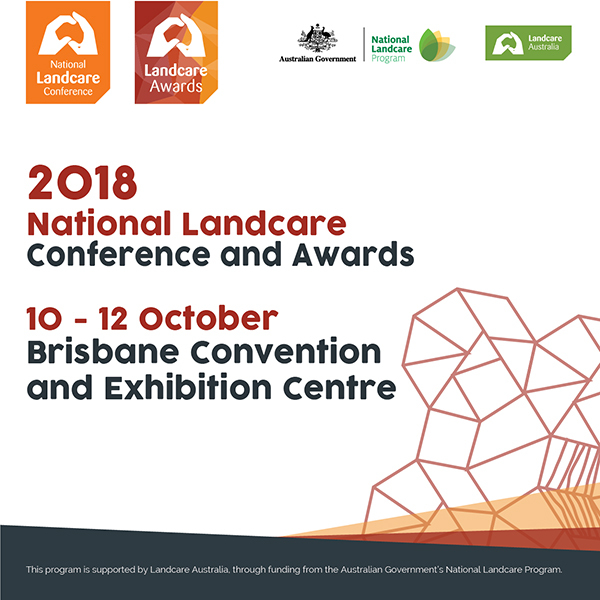 To ensure that we deliver a 2018 National Landcare Conference that’s focused on what you as Land and Water carers consider relevant and important, we are reaching out to you to assist us in coming up with a theme for the 2018 National Landcare Conference to be held in Brisbane on 10 – 12 October. By simply submitting your theme idea by 11.59pm on Sunday, 15 April, you’ll automatically go into the draw to win a complimentary 2-day conference pass to attend any sessions of your choosing. Your pass – valued at $600 – also includes entry to the Welcome Reception on 10 October, and the National Landcare Awards gala dinner, held on 11 October. We are seeking themes that are forward thinking, short and sharp, engaging, and inclusive of all that Landcare represents. Get creative and help guide the direction of our next conference. Click here to submit your theme idea now.